Image Size: 37.25 x 38.5 in. Paper Size: 41.75 x 38.5 in. 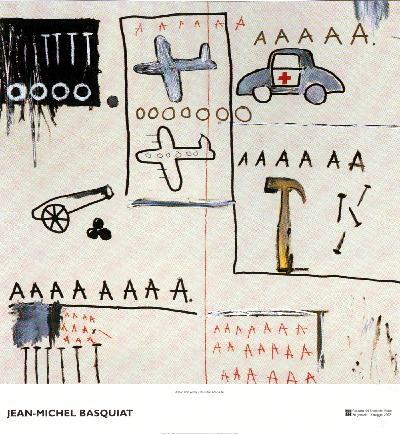 Rare Basquiat-Untitled , This is a wonderful exciting Offset Lithograph, open edition by Jean-Michel Basquiat published for a retrospective of his work at a museum in Italy in 2002. Limited Edition features sophisticated brilliant color tones in this print, excellent! Click the button below to add the Rare Basquiat Untitled to your wish list.